Rotterdam, the Netherlands. Darren Till was embracing the jubilant aftermath of his victory against Bojan Velickovic at UFC Fight Night 115, an unsparing performance that led the judges to unanimously award Till with the win. The Liverpool native was toasting his victory with a drink when he was asked if he would be able to main event UFC Gdansk in just over a months time. “I’ll fight anyone,” was his pragmatic and raring response and, thus, Darren Till was set to fight Donald Cerrone in merely 49 days time. Till embraced the offer with both hands open, but his hands were firmly fisted as he finished the fight in Poland. The English Welterweight put in an authoritative and concise performance against an uncharacteristically feeble ‘Cowboy’ Cerrone, striking the veteran fighter with precision and flurries until the American turned his back and the official stopped the fight in the first round, Till being declared the winner by TKO. This was the 25-year-old’s 12th stoppage victory of his career, a career that has so far seen 17 bouts but hasn’t witnessed a single loss inside the cage. Only one draw slightly speckles Till’s record – a majority draw against Nicolas Dalby in Dublin. The sixteen wins that accompany it are a testament to his fierce and unrelenting ability in mixed martial arts and a warning to any fighter willing to stand opposite Till inside the Octagon. 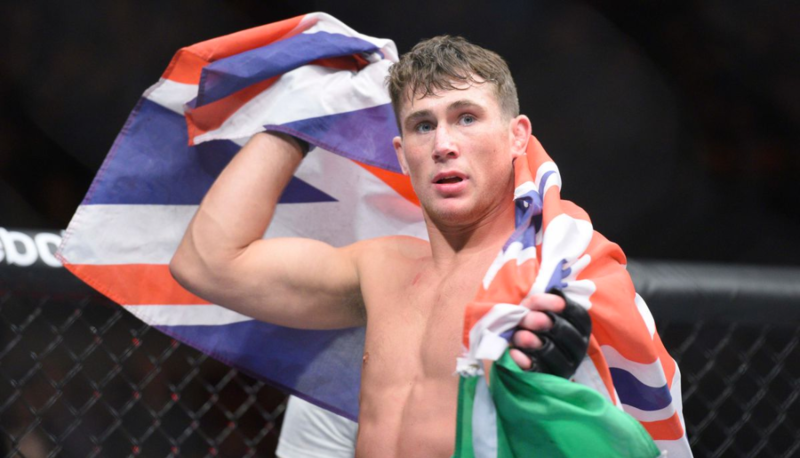 Despite his strenuous and diligent lifestyle at present, Darren Till kindly and willingly agreed to speak to AllOutAttack about his fighting career. MMA UK: You’ve been training in fighting since the age of twelve, starting with Muay Thai. Had you always had the desire from a young age to fight professionally? MMA UK: Do you have an inspiration that you would credit for getting you into fighting? Darren Till: No, I never really had an inspiration for getting into fighting. If I could say one influence maybe it would be the Rocky films. I used to watch them a lot and I was always captivated by fighting. I always wanted to be the hardest kid on the block, per se. Till was recognised at a young age as somewhat of a Muay Thai prodigy. His ability developed, as did the lethality of his strikes, and the Liverpudlian even managed to rack up an undefeated kickboxing record of 44-0 before making the decision to transition into mixed martial arts, showing his combat sports quality through his youth. In August 2012, Till was stabbed twice in the back at a party after jumping in to support a friend who was having a fight, the blade barely missing his main artery. His fighting coach at Team Kaobon, Colin Heron, made the decision that staying in Liverpool wasn’t going to benefit him as a fighter and sent him across the world, at the age of just 19, to Southern Brazil to train with Astra Fight Team. This decision ultimately sculpted Till, not only his fighting prowess but also his mindset in life. MMA UK: You moved to Brazil in 2012 following a personal incident. How do you feel your experience in South America sculpted you as a fighter and do you feel you would have reached the same astronomical heights that you already have done if you had stayed in Liverpool? Darren Till: I feel like Brazil turned me into more of like a man, or should I say a more mature person with a different outlook on the world. Maybe less opinionated and more listening and seeing what’s going on around me. With regards to my career, I think with my career I’ll only ever be champion under one man and that’s Colin Heron in Liverpool. So the move [back to Liverpool] was good and, you know, I definitely believe I still would have become champion but the only person that’s ever going to drive me and be together in a partnership is Colin Heron – he’s the man who holds the key to my future. He’s the main man. Darren teaching Muay Thai at Astra Fight Team in Brazil. Whilst Balneario Camboriu in Brazil was Darren’s home for four years and the place that had his daughter, he has always had Liverpool close to his heart and aims to live a dream by headlining a UFC event in his historical hometown. The colossal MMA promotion has never been to Liverpool, the closest being UFC 204 when Michael Bisping brought a mainstay UFC event to Britain for the first time when he fought in Manchester. Till has similar aspirations to fight in front of a home crowd of thousands of roaring Scousers. MMA UK: Many people consider Liverpool to be the MMA capital of the country and you’ll struggle to find a more passionate following in any other city. How much do you want the UFC to come to Liverpool? Darren Till: I really think that right now is the time to bring the UFC to Liverpool, just obviously due to how I’ve escalated and how many other fighters in Liverpool are escalating. You know, this year has got to be the year that the UFC comes to Liverpool. The UFC has been around now for 20 years and MMA, like Vale Tudo, has been around for so many years so now’s the time to bring it to Liverpool and show Dana [White] that the most passionate fans in the world, that I believe and a lot of other people believe, is Liverpool people and I 100% believe that. MMA UK: What are your thoughts on prominent Merseyside fighters such as Paddy Pimblett, Molly McCann and Chris Fishgold who are starting to make names for themselves outside of Liverpool? Darren Till: You know, well done to them and well done to anyone else who’s making a name for themselves and fighting because it’s not easy to do that and there’s always if you want to say, haters and people who want to drag people down for doing well. Anyone who can make a name and make money and make a living out of fighting, especially in MMA, has my full respect. Merseyside mixed martial arts is thriving and flourishing as Scouse fighters become more high profile and Darren Till is at the spearhead of this scene. Till’s ascendance to the heights of the UFC’s fighting hierarchy is simultaneously putting the city of Liverpool onto combat sports radars internationally, creating a manifest to show the talent fighting out of the North West of England. Till wants to bring the UFC to Liverpool and recreate a scene similar to this one but in front of a hometown crowd. 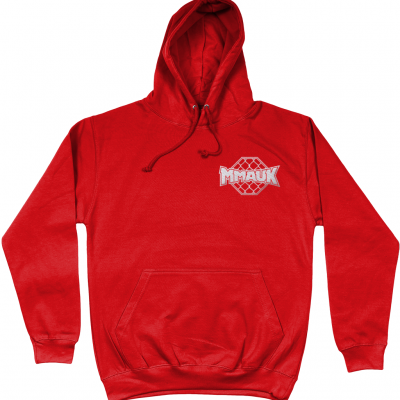 Whilst Till may have the goal of bringing the world’s biggest mixed martial arts corporation in his hometown, the Liverpool native has a more prestigious and wearable objective at the forefront of his mind. After the astounding success he had in 2017; beating Jessin Ayari, Velickovic and Cerrone all in the same year after coming back from a two-year hiatus due to a bad shoulder injury, Till’s prominence in the combat sports scene grew astronomically. With his worldwide popularity and hype surrounding him at the moment, Darren sees the grand picture and that image includes him hoisting the UFC Welterweight championship belt. MMA UK: You were named UFC’s Breakout Fighter of the Year 2017 after the astonishing year you have had. What was the defining moment for you from the last year? Darren Till: Being named Breakout Fighter was obviously amazing but there wasn’t a defining moment. Every moment was just as good as the next or the last, you know, fighting in Sweden, fighting in Rotterdam, obviously fighting in Poland against the biggest name to date; Donald Cerrone, but there wasn’t really a defining moment. The best moment for me was, having had such a successful year, to any doubters that I had rubbing [the success] in their faces – not that I want to rub it in people’s faces but I want to rub it in to people who doubt me, you know, if anyone ever doubts me it’s probably the worst thing they could do to someone like me with my mentality. It was just good being successful that year and proving doubters wrong. Till vigorously outstriking Bojan Velickovic. MMA UK: You’ve made it clear that you will fight anyone in the Welterweight division and names like Stephen Thompson and Gunnar Nelson are being thrown about. What are your thoughts on the other fighters in the division and what’s next for you? Darren Till: Yeah, I’ll fight anyone. I want to fight Stephen Thompson, everyone knows that everyone knows that’s the fight I want. Obviously, Mike Perry’s name has been thrown about and a few other people’s names but I know that the UFC has got plans for me and for my next fight so we’ll just see what they’re going to offer. I hope it’s something big because I’m going to be the biggest name in mixed martial arts by the end of this year. An audacious declaration but one that Darren Till believes with every fibre of his being, and there are probably an abundance of mixed martial arts fans who believe with the same capacity. Some may critique Till’s statement for being too bold or ambitious, but it is the comparable ambition that led to him taking the fight against Donald Cerrone so soon after his last bout. It is the same ambition that drove the then-teenager to emigrate to South America so that he aims to perfect himself as a fighter. Darren Till’s career has been built on the premise of taking opportunities and accepting them with his hands open. Just don’t be near him when he takes his opportunities with his hands shut. Darren Till needs a fight. The hype train in quickly running out of steam. Should have already fought by now and have another lined up!